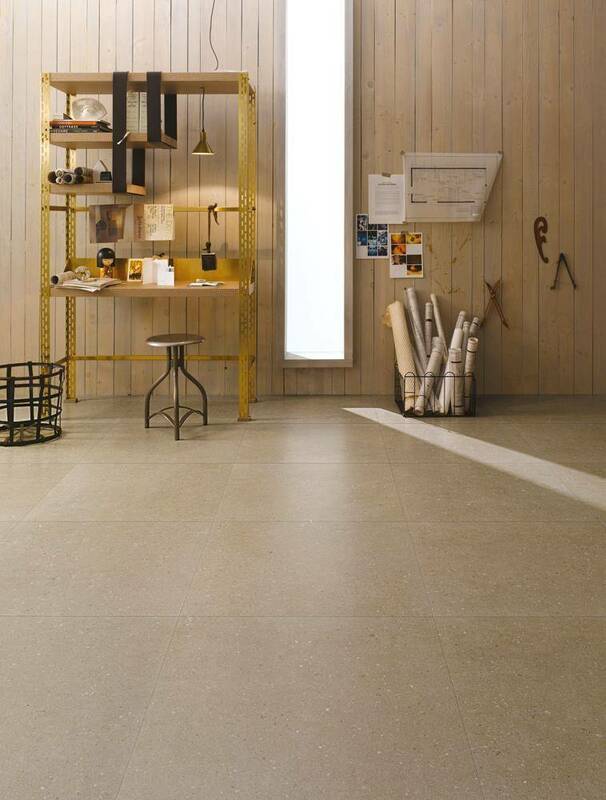 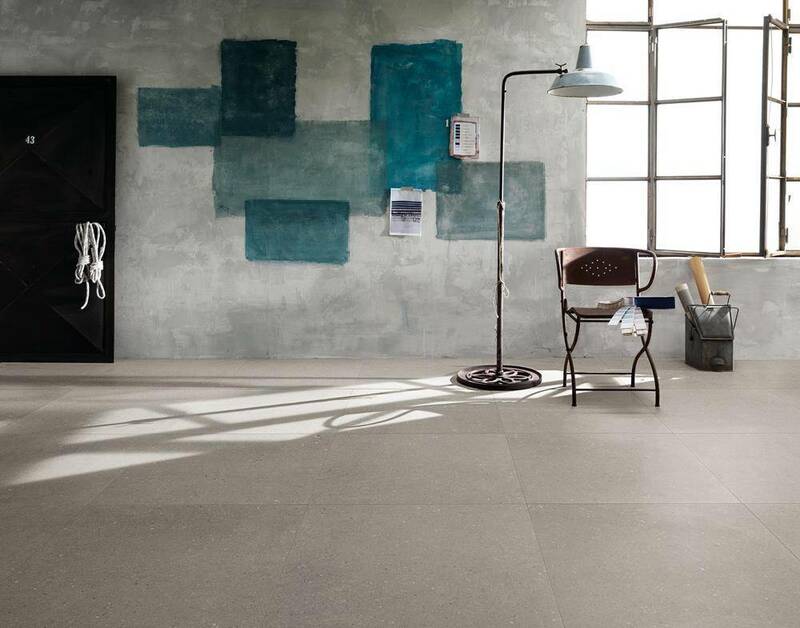 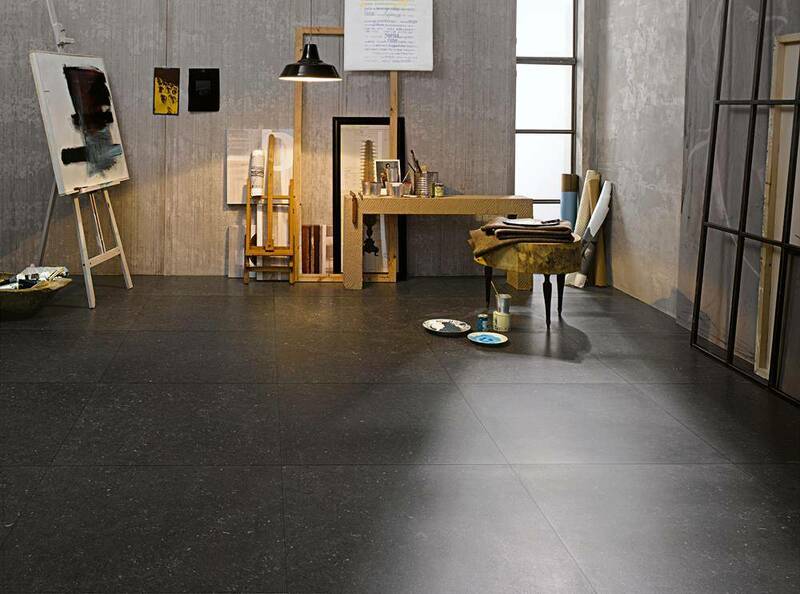 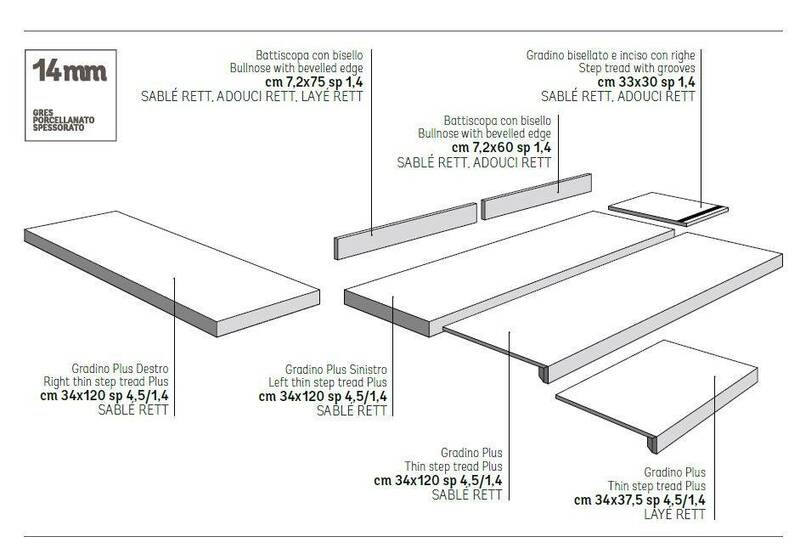 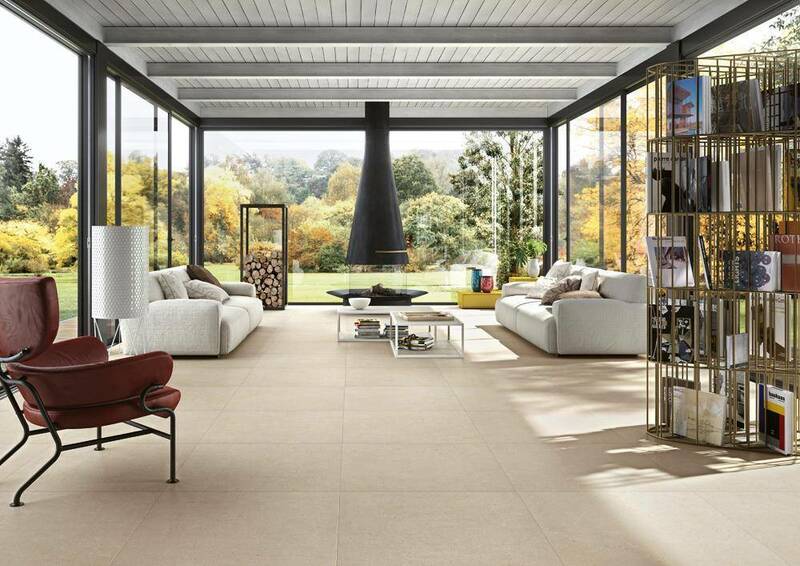 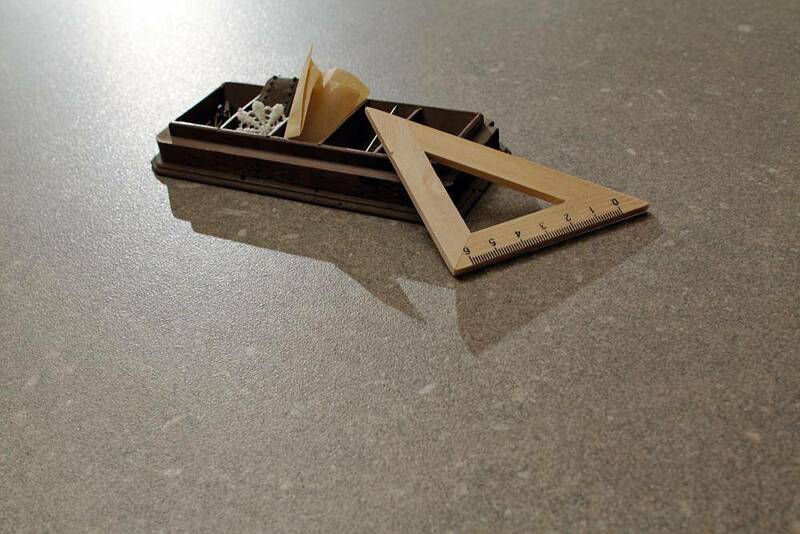 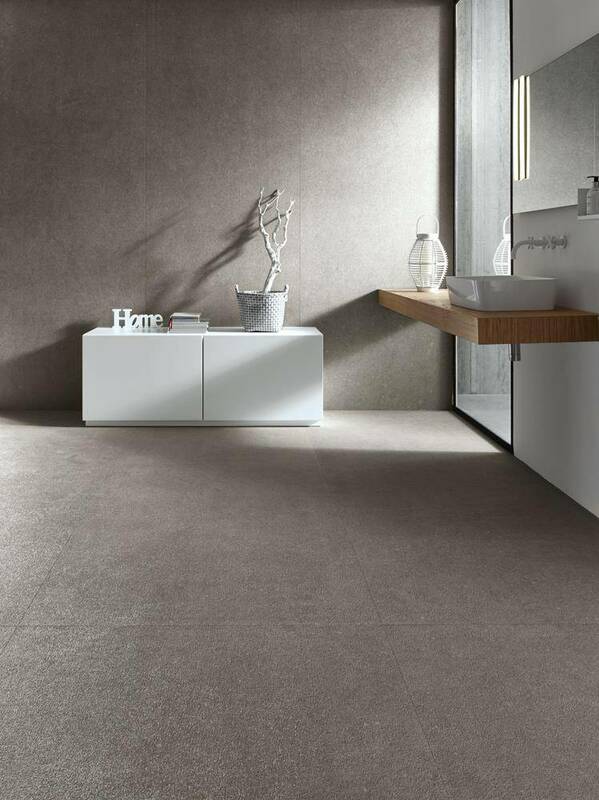 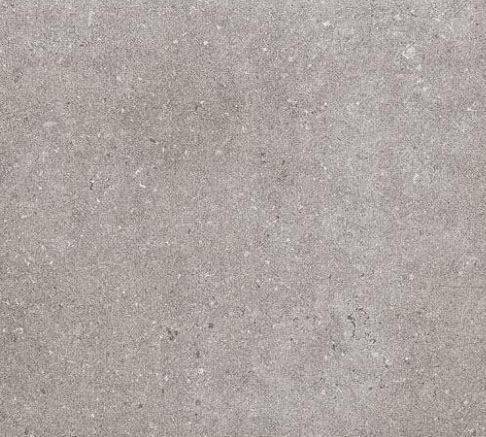 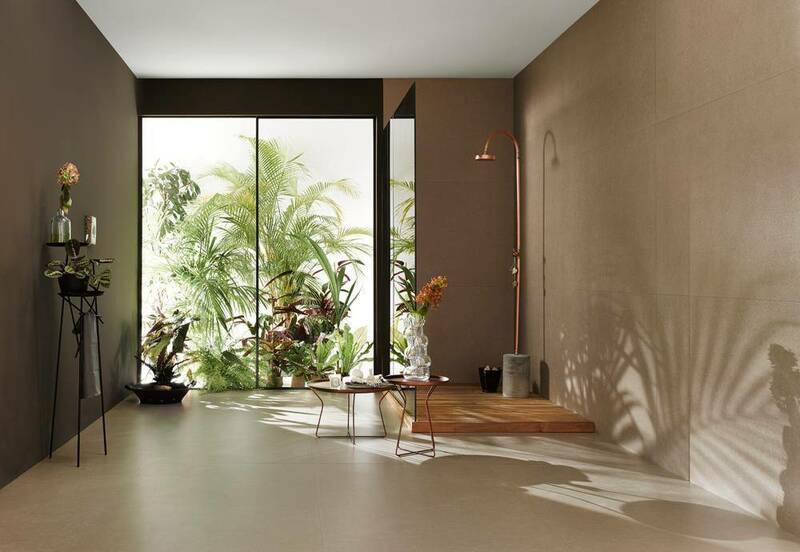 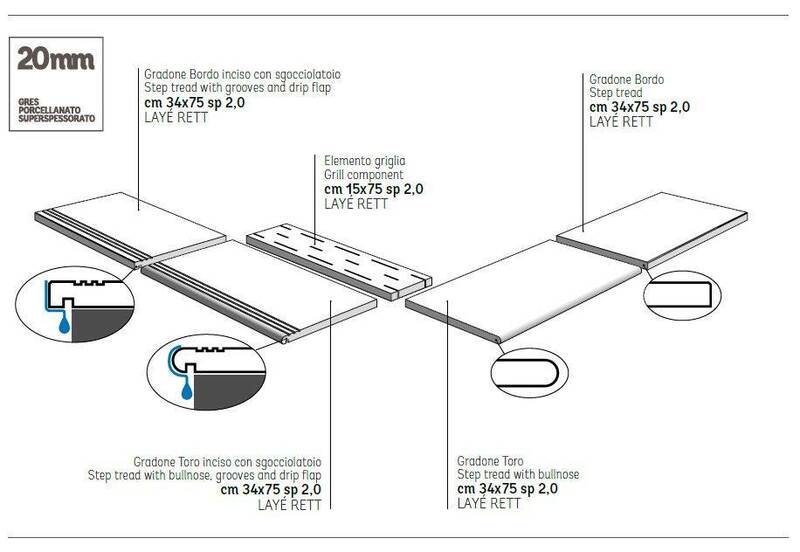 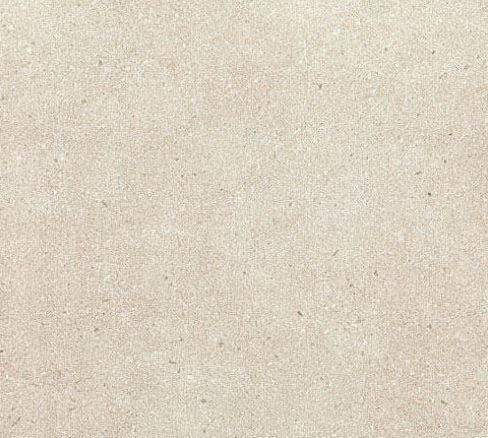 on porcelain stoneware: extra large tiles that are always perfectly flat, beautiful, resistant and antibacterial (thanks to integrated Microban technology). 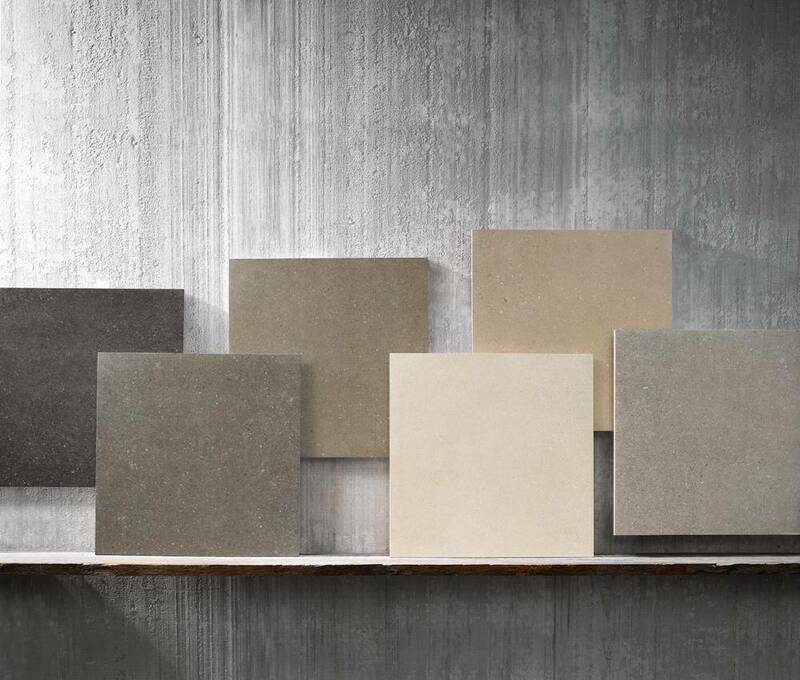 Cluny is available in four surface finishes: Adouci (14mm) soft and with faint opalescent highlights; Sablé (14 mm), characterized by a rough finish with no highlights and a more rustic appearance; Naturale (3plus), opaque and structured; and lastly Layé (5plus, 14 and 20 mm), carved with deep scratch-like etchings. 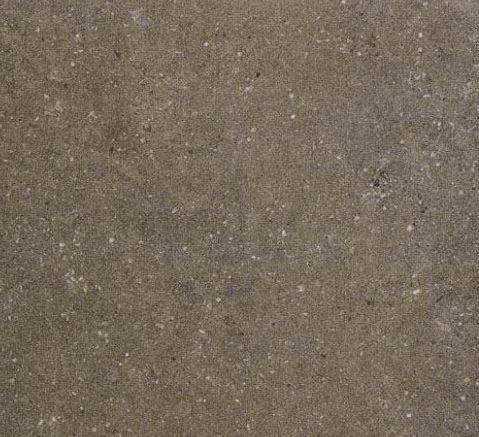 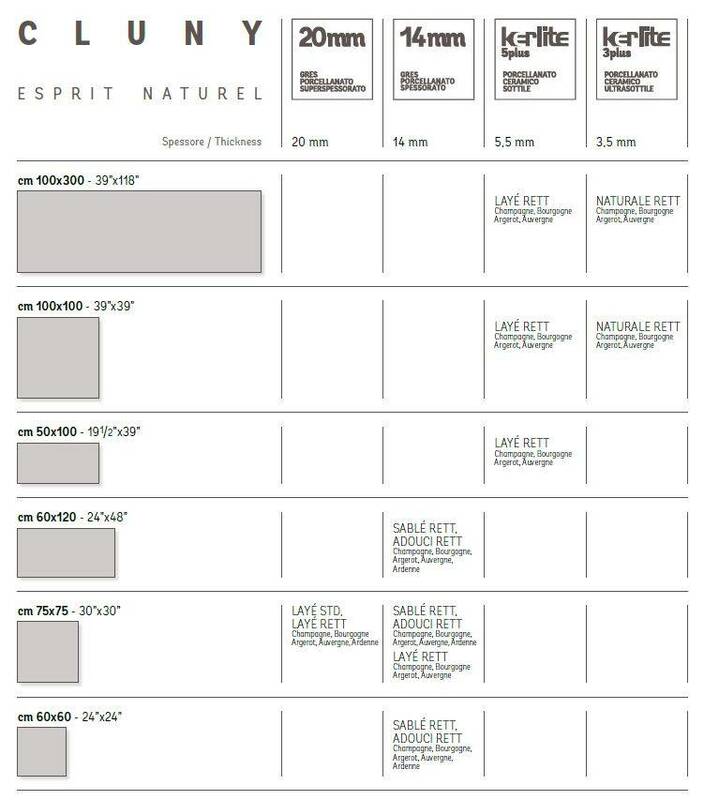 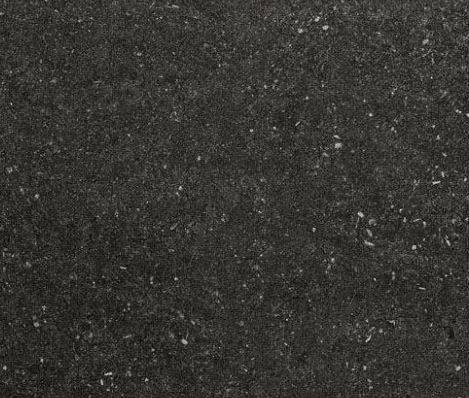 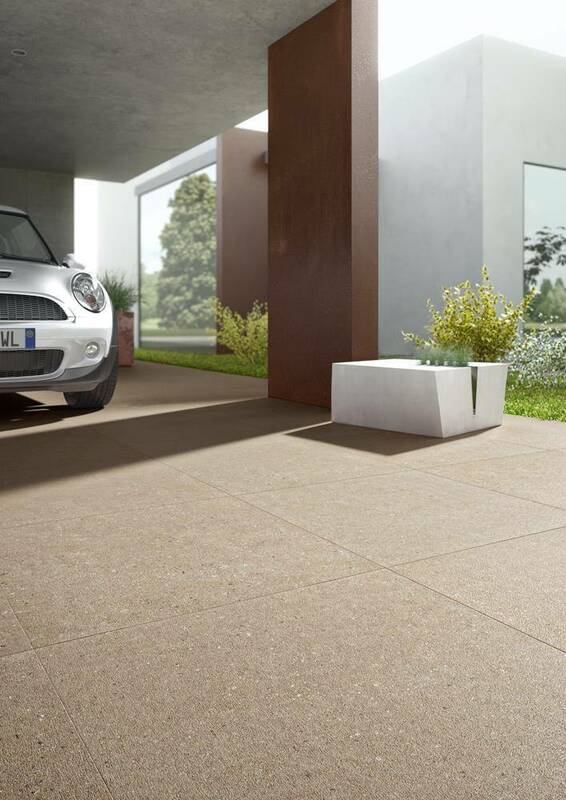 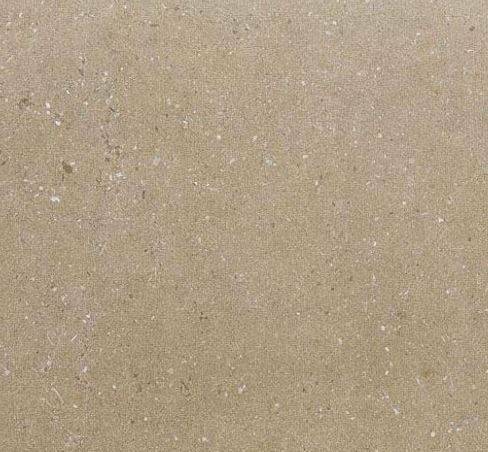 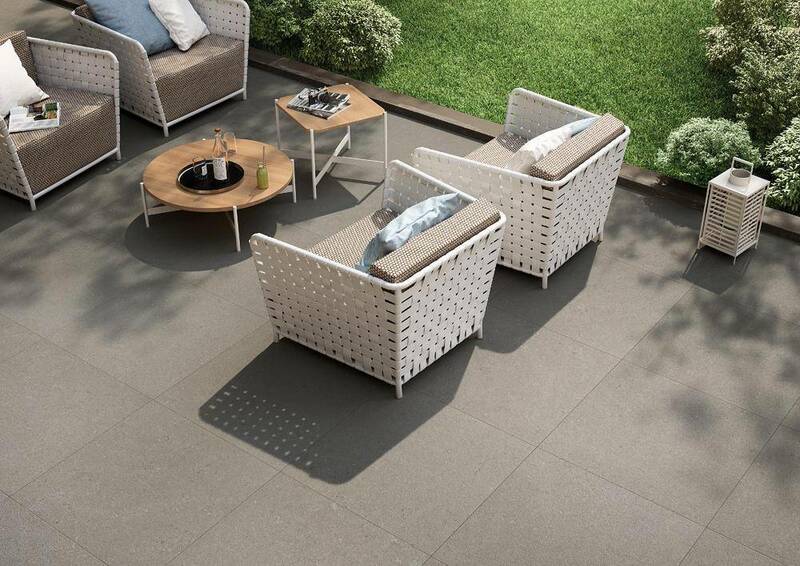 Ideal for exterior flooring where slip resistance is of fundamental importance (in 14 and 20 mm thickness), this structured surface becomes slightly attenuated in the Kerlite 5plus slabs, creating a decorative effect capable of producing evocative plays of light and shadow.